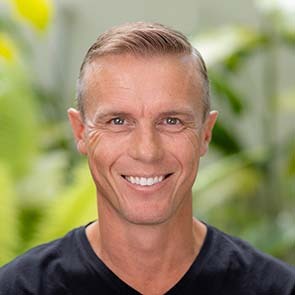 I'm Troy Hunt, a Microsoft Regional Director and Most Valuable Professional awardee for Developer Security, blogger at troyhunt.com, international speaker on web security and the author of many top-rating security courses for web developers on Pluralsight. I created HIBP as a free resource for anyone to quickly assess if they may have been put at risk due to an online account of theirs having been compromised or "pwned" in a data breach. I wanted to keep it dead simple to use and entirely free so that it could be of maximum benefit to the community. Short of the odd donation, all costs for building, running and keeping the service currently come directly out of my own pocket. Fortunately, today's modern cloud services like Microsoft Azure make it possible to do this without breaking the bank! This site came about after what was, at the time, the largest ever single breach of customer accounts — Adobe. I often did post-breach analysis of user credentials and kept finding the same accounts exposed over and over again, often with the same passwords which then put the victims at further risk of their other accounts being compromised. The FAQs page goes into a lot more detail, but all the data on this site comes from "breaches" where data is exposed to persons that should not have been able to view it. This site serves two primary purposes for me: firstly, it obviously provides a service to the public. Data breaches are rampant and many people don't appreciate the scale or frequency with which they occur. By aggregating the data here I hope that it not only helps victims learn of compromises of their accounts, but also highlights the severity of the risks of online attacks on today's internet. Secondly, the site provided me with an excellent use case for putting a number of technologies through their paces and keeping my hands-on skills somewhat current. Projects like this are an excellent way of staying relevant as my day job increasingly focuses more on software management and less on actually building things (which I happen to love doing!) It's been an enormously fulfilling journey that I've invited others to join me on by way of often blogging in depth about the process, something I intend to keep up as the site inevitably evolves over time.